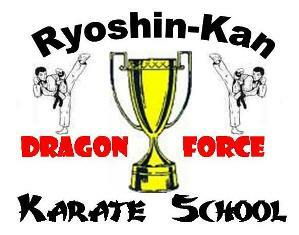 The Ryoshin-Kan Karate School from Virginia Beach, Virginia USA is offering Free Karate Classes in celebration of their Dragon Force National Karate Demo Team's Victory at the 2009 World Fall Classic Martial Arts Championships. Team Dragon Force won 58 Trophies including 23 First Place Trophies in Team Demo, Breaking, Sparring, Kata, Self-Defense, Weapons and Musical Forms. If you would like to participate in a Free Karate class, Weapons Class or Self-Defense Clinic contact the Ryoshin-Kan Karate School at (757) 468-1643. A great big thank-you, the investigation is really worth! I can see that the author is a professional in the area. As distinct from other information I reviewed on the subject, this one includes original points of view. This web site time after time puts lots of conclusive materials on the burning topics. My family and I review them daily. Leave terrible thesis writing for our guru thesis paper service and do what you love - visit your Karate Classes. Enjoy to full your life! Congratulations to the Ryoshin-Kan Karate School in Virginia Beach, Virginia USA on a very impressive Victory. The Dragon Force National Karate Demo Team is Awesome.